Jewellery by Tarratt the Leicester jewellers are always great design & quality and this wonderful silver brooch designed by Geoffery Bellamy for Tarratt is no exception. 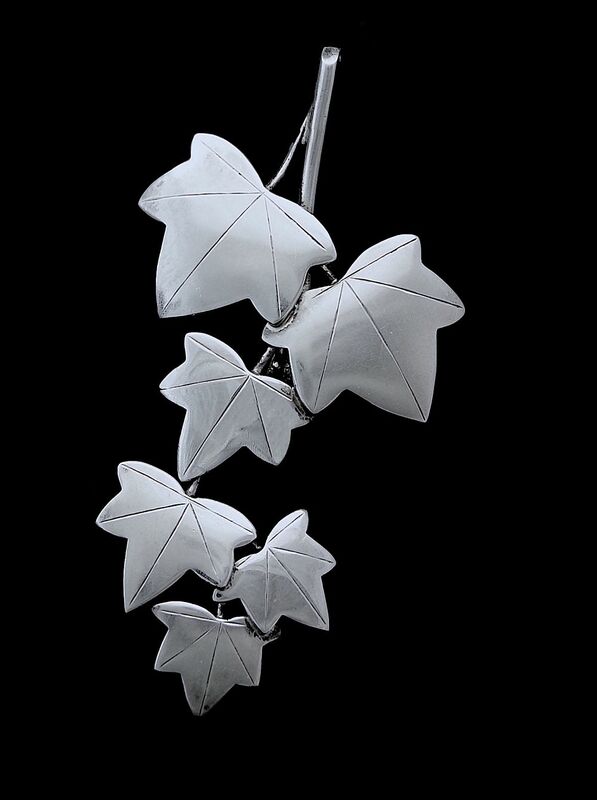 It comprises 6 silver ivy leaves of various sizes, grouped together in two groups of three with the bottom group of three being articulated from the top group. The back bears the mark for Ivan Tarratt and has Bellamy's facsimile signature. 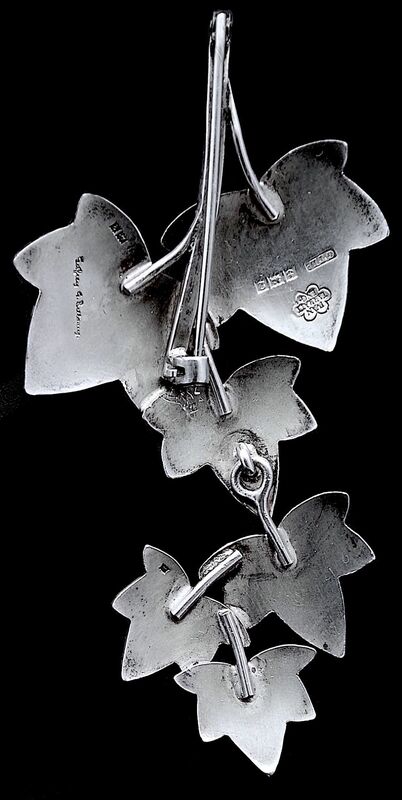 It is hallmarked by the Birmingham Assay office for silver and 1965 and bears the sponsor's mark "GTLd" for George Tarratt.